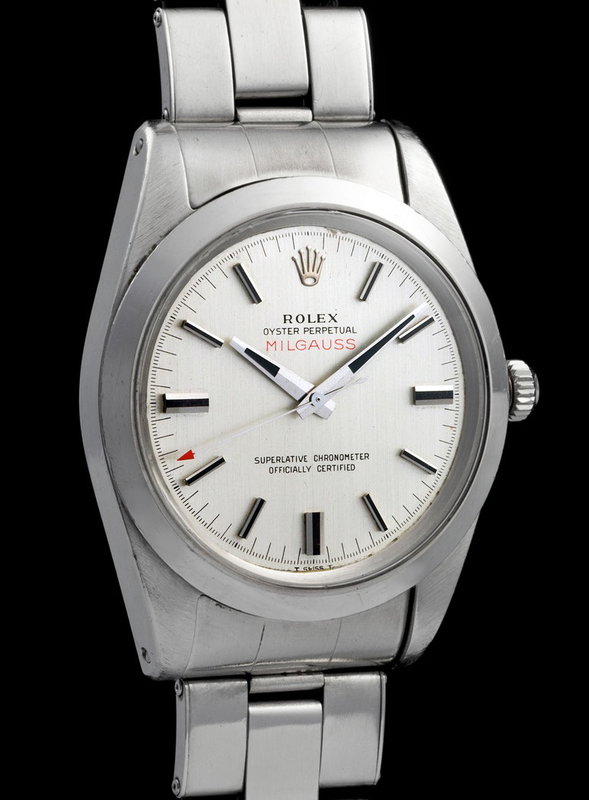 The Milgauss reference 1019 was produced from 1960 to 1980. This particualar model features a calibre 1580 nickel-finished lever movement, 26 jewels and 38 mm case with plastic crystal. The Milgauss was designed to keep accurate time in magnetic fields up to 1000 Gauss. These watches were originally an ideal watch for people working in a laboratory that had high electro-magnetic fields.